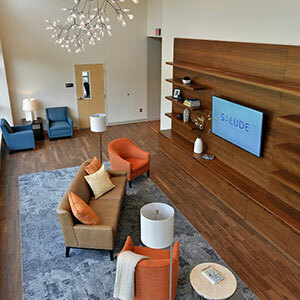 At Salude, our goal is to provide exceptional patient and family-centered clinical care and hospitality that will enhance the life of each and every person who comes through our doors. 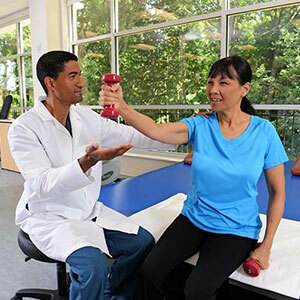 As the Chief Executive Officer and a physician with nearly 20 years of clinical experience in complex inpatient healthcare systems, I truly believe that recovery is an art in which the care environment plays a pivotal role in the recovery process. 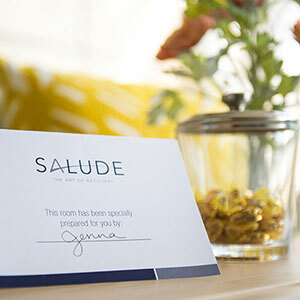 Salude was designed and built with a focus on addressing every facet of a holistic experience: clinical excellence with outstanding quality care delivery, top-of-the-line hospitality leading to an impeccable patient experience, a team-based patient and family-centered approach, outstanding upscale cuisine that nourishes the body and promotes healing, superb rehabilitation services and state-of-the-art equipment, and individualized privacy to nurture the recovery process. I have seen the evolution of healthcare in recent years, and I believe that Salude is at the forefront of change, working to continuously improve healthcare quality and outcomes. We are champions and partners for collaborative care as we work with other community providers, home health, hospitals and health systems to help ensure a transitional care experience that flows smoothly between care settings. On behalf of our dedicated team of caregivers and staff, I hope you will visit us and experience the special details that make Salude like none other.